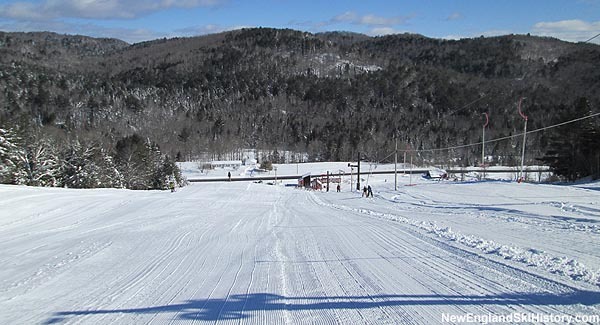 Located off Route 25 in eastern Vermont, Northeast Slopes is considered the longest continuously running ski area in the country. The area is funded by ski revenue, donations, and tax dollars from Corinth, Bradford, and Topsham. East Corinth's Northeast Slopes ski area likely dates back to 1936, when a rope tow was installed on a sloping farm pasture. Under the control of Wes Blake in 1946-47, a smaller rope tow may have been added for novices. Blake may have added a third tow for the 1950-51 season. The "shanty" at Northeast Slopes was remodeled for the 1958-59 season. A base lodge was constructed in 1972. Organizationally, Northeast Slopes Ski Tows, Inc. was registered in Vermont in the fall of 1962, running the ski area for nearly a quarter of a century. The non-profit Northeast Slopes, Inc. was formed prior to the 1986-87 season and continues to operate the ski area to this day. 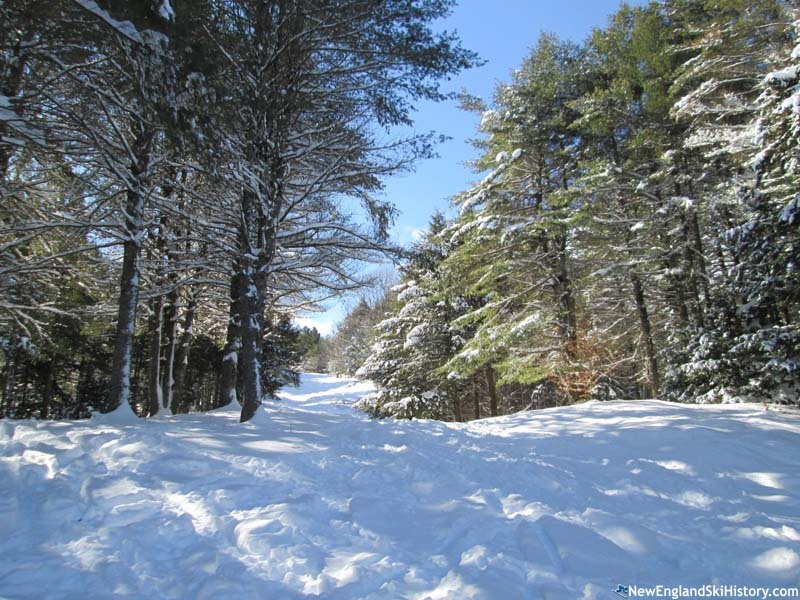 Plans to upgrade Northeast Slopes from a rope tow area to a T-Bar area started in the early 1970s, when initial fundraising took place. While the campaign was unsuccessful, the concept remained in the back of the minds of area management. Circa 2005, board members agreed to purchase a T-Bar from Bradford, MA. Fundraising continued in subsequent years, leading to the board authorizing a $70,000 loan to move the project forward. Thanks to various grants and a $70,000 donation from former Northeast skier Leland Blodgett, installation of the T-Bar commenced in 2008. With virtually all of the work conducted by volunteers, construction continued into 2009. The grand opening of the John A. Pierson Jr. T-Bar took place on December 26, 2009. "I go to Northeast slopes every year with my ski team. It is probably my favorite area in New England even though it is the smallest. They have a great staff with really fun skiing. My favorite part is their extremely fast rope tow. it's always a fun time there and I will enjoy continuing to go there."